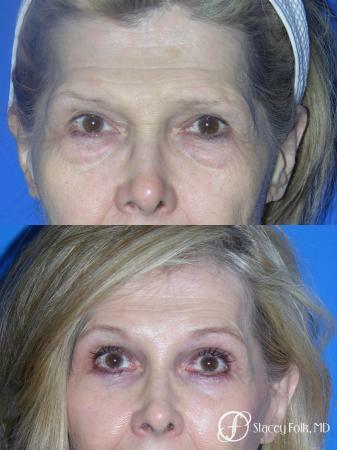 Your natural brow position may be much lower than you think because those with brow ptosis (droop) and/or heavy upper eyelids may be compensating and actively holding their brows in a higher position. Having heavier wrinkles across the forehead is a sign that this has been going on for some time. Look in the mirror, close your eyes, and completely relax your forehead. Slowly open your eyes being very careful to not automatically raise your brows as well. This is your natural brow position. The position of your brows after doing just your upper lids will be slightly lower than this. 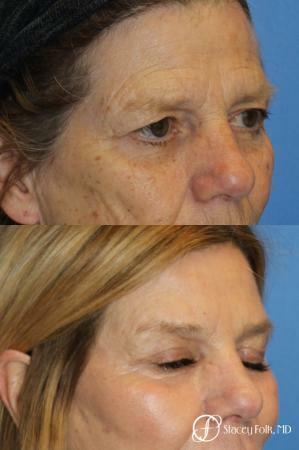 So that’s why a brow lift is often performed simultaneously, or instead of upper lids alone. 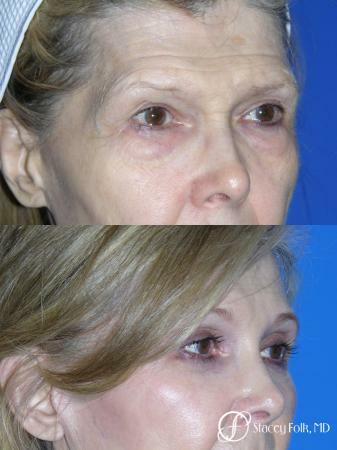 The degree of ptosis, and more importantly, your hairline and forehead height will help decide which brow lift technique is best suited to you. 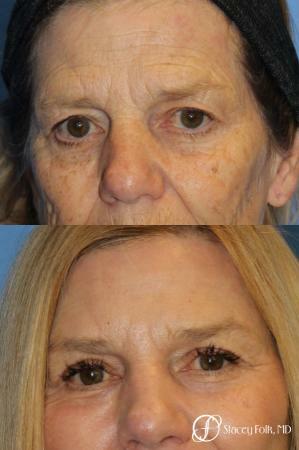 See our gallery for more brow lift before and after images.